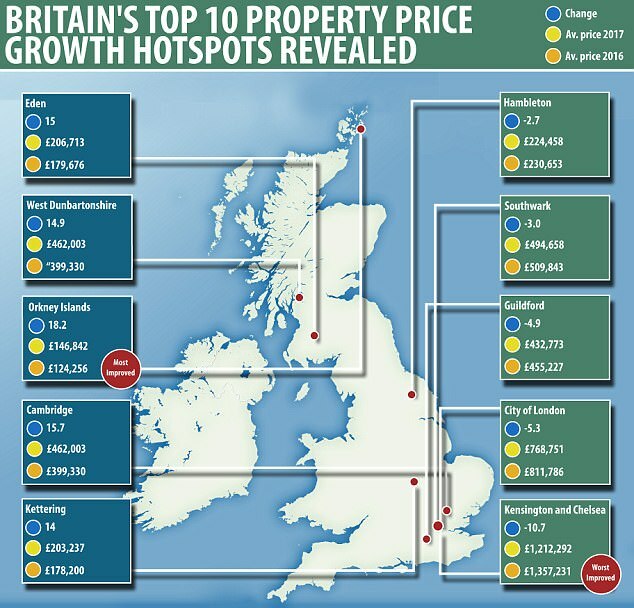 PropertyInvesting.net: property investment news: Britain's top 10 property price growth hotspots revealed: The Cotswolds, Cambridge and Orkney are among places where house prices soared - so where does YOUR area rank? Britain's top 10 property price growth hotspots revealed: The Cotswolds, Cambridge and Orkney are among places where house prices soared - so where does YOUR area rank? 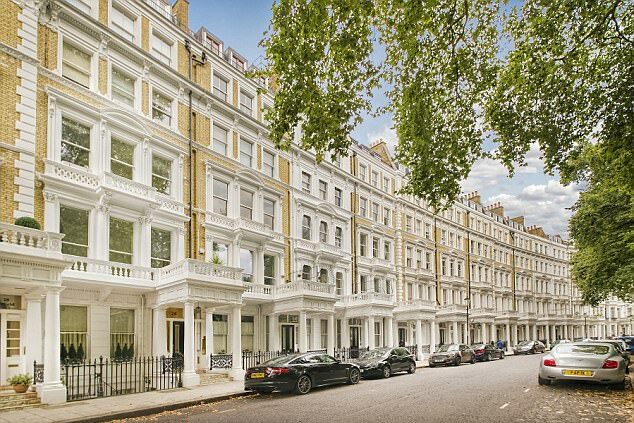 A fascinating new report shows which areas of the UK are steaming ahead with property price growth and those left lagging behind. Property prices in Cambridge increased by £63,000 in a year while in affluent Kensington and Chelsea they fell by £145,000, Office for National Statistics (ONS) figures for 2016/17 show. 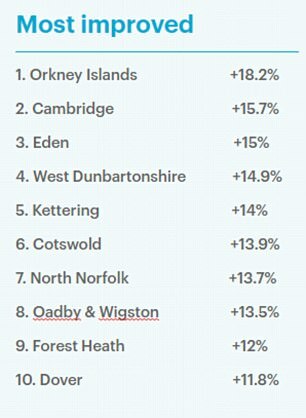 The Orkney Islands, Eden and West Dunbartonshire were among the most improved areas for house prices. 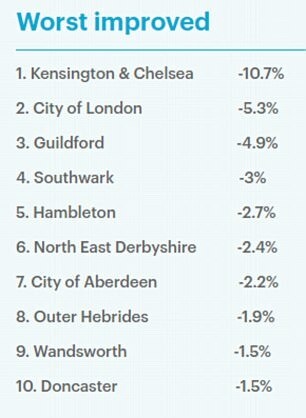 In contrast, City of London, Guildford and Southwark were some of the areas which experienced the biggest decrease in the value of properties. 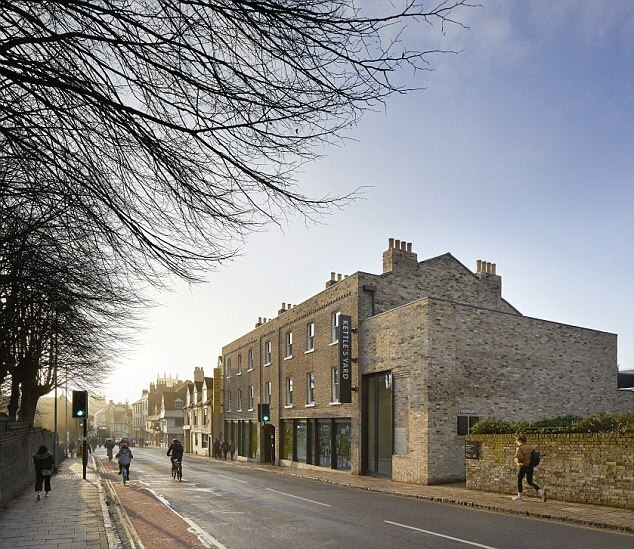 University city Cambridge saw a pace of growth three times higher than the national average after the government promised a £7billion investment in new roads, rail links and homes. Another area with double-digit growth was Eden, in Cumbria, where an average house now costs £206,000. In the Cotswolds, in south-central England, properties sell for an average of £394,000 - an increase of 13.9 per cent. Also among the top 10 most improved areas was Kettering, where house prices shot up by an impressive 14 per cent between 2016 and 2017. In the Orkney Islands, off Scotland's north-east coast, house prices shot up by 18.2 per cent, putting it at the top of the pile across the UK in terms of growth. With an average house price of £147,000, you can buy a picturesque two-bedroom house with sea and farmland views. 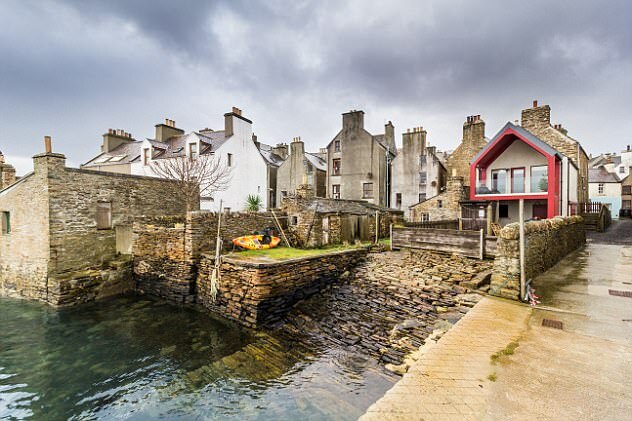 The local authority showing the fastest growth was the Orkney Islands (file image of Stromness), where prices increased by 18.2 per cent to stand at £147,000 on average. West Dunbartonshire was also in the top five performing areas in terms of house price growth. With an average house price of just £109,000, it is nearly £20,000 cheaper than nearby Glasgow and nearly £70,000 cheaper than Stirling. Homes in Newport sell for an average of £168,000, making it Wales's standout area in terms of price growth. However, an increase of 9.6 per cent puts the south-eastern city outside the top 20.